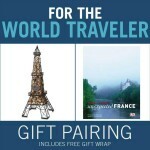 For the World Traveler Gift Pairing (p/n 16658) with free gift wrap. 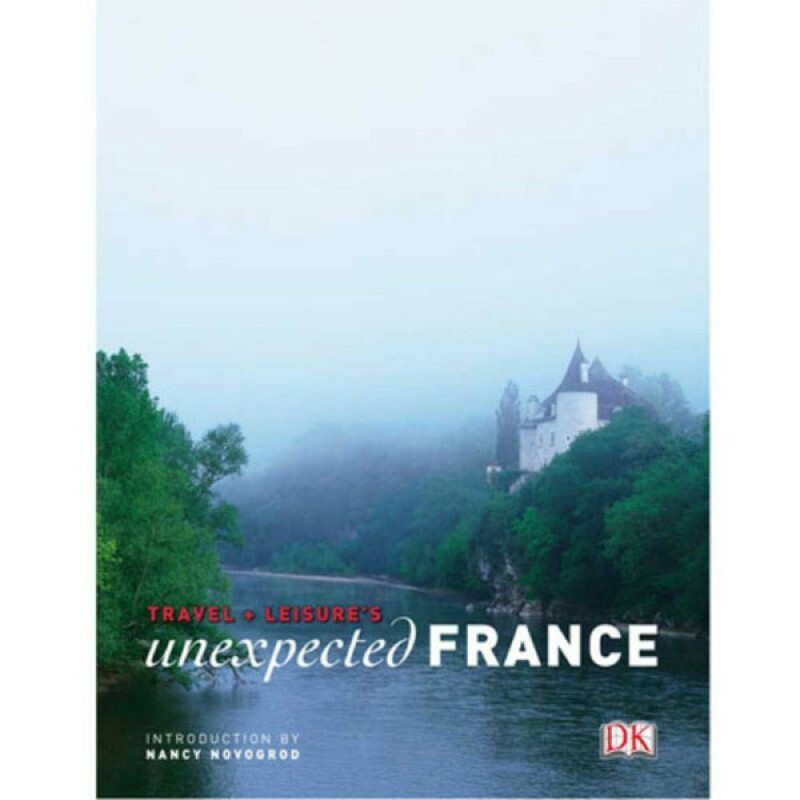 Whether celebrating the pristine gardens of Versailles or the earthy cooking of the Dordogne, a lavishly restored expanse of the Louvre or the pleasures of a Cliffside village, the hardback book Unexpected France uncovers the hidden charms of a perennially popular destination. 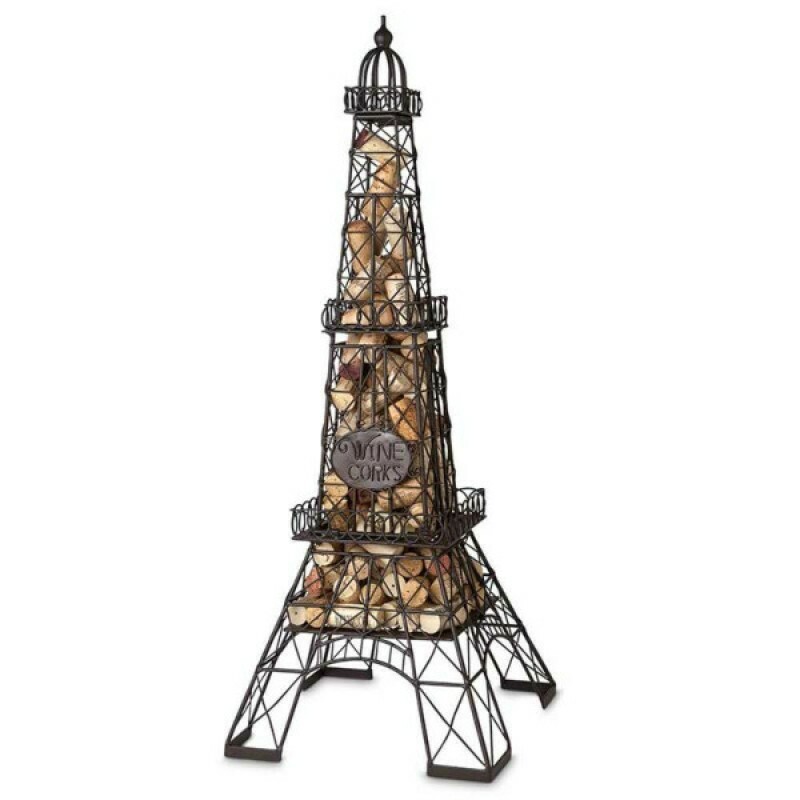 Artisan crafted from metal with all the details of the actual French structure, this cork cage is a creative solution for your cork storage. 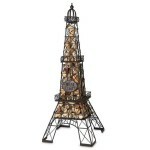 Not only will this cork cage hold your corks, but it can also display a bottle of wine - even oversized Champagne bottles! This clever wine and gift accessory is a stylish way to hold your cherished collection. Dimensions: 9 1/2w x 9 1/2d x 25h (in). 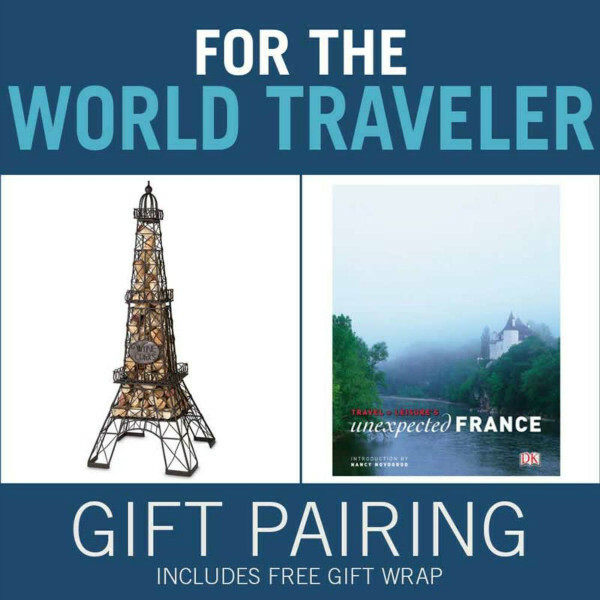 Evoke the pristine gardens of Versailles and graceful Eiffel Tower with this sophisticated gift set. Gift set includes Unexpected France book, Eiffel Tower Cork Cage and free gift wrapping! While supplies last.